I’ve said it many times before in a variety of places, but I’m a relatively lazy artist. In fairness, I’ve been severely pushing the limits of my comfort and ability with Long John, but when I can create a page that will be pretty easy to draw, I relish in it. Every artist––either secretly or overtly––has a list of what they enjoy drawing and things they do not enjoy drawing. My problem is that my “things I don’t like drawing” list is much longer than my “things I like drawing” list. At the top of things I enjoy drawing are faces and hands, and this page is nothing but those two things. Score. 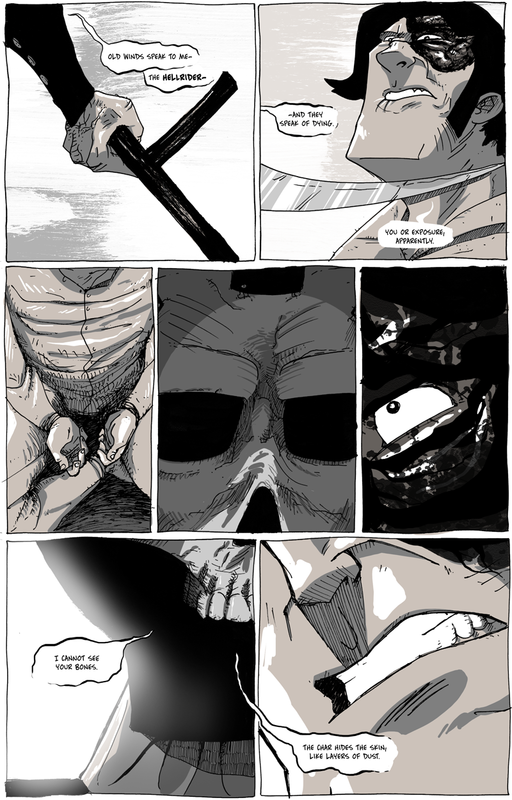 Even though this page plays with panel content, its layout is really not that experimental. I tend to be pretty traditional when it comes to panel layout and I usually bounce between three and four rows of panels per page. 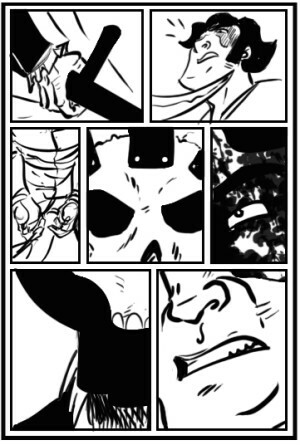 I’ve only really every stretched a “single” image over a series of panels once before and I really liked the effect. I took that experience (though it was a long, long time ago) and really pushed it as far as I was willing to take it on this page. This was also one of the few cases where the final line art looked pretty close to its tiny, original, digital thumbnail sketch––mostly because I really was pleased with that original digital thumbnail.